There is always more to learn! Some of our most recommended resources are below! 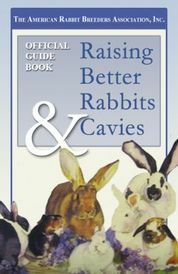 If you are interested in showing your rabbits, this book is the OFFICIAL judging guide for all the registered breeds of rabbits. This contains point values, markings, body shape, colors, and even posing. This book is a MUST HAVE. From breeds to diseases, from breeding to feeding, this book has everything! While growing up raising and showing rabbits, this was the only book we used and the only one we recommended to everyone else. 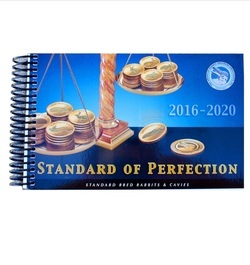 This book is published by ARBA.